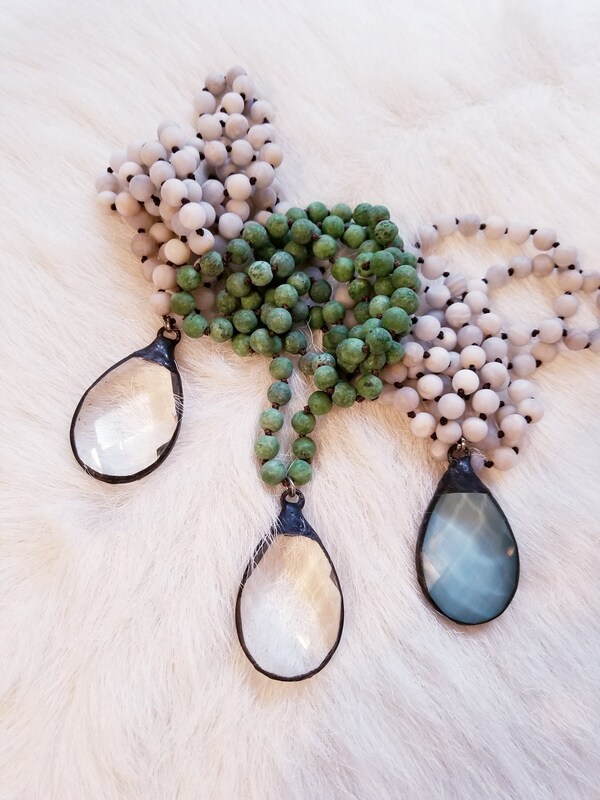 These necklaces are so versatile, wear them everyday if you want! There are three different styles to choose from, use drop down menu to select. 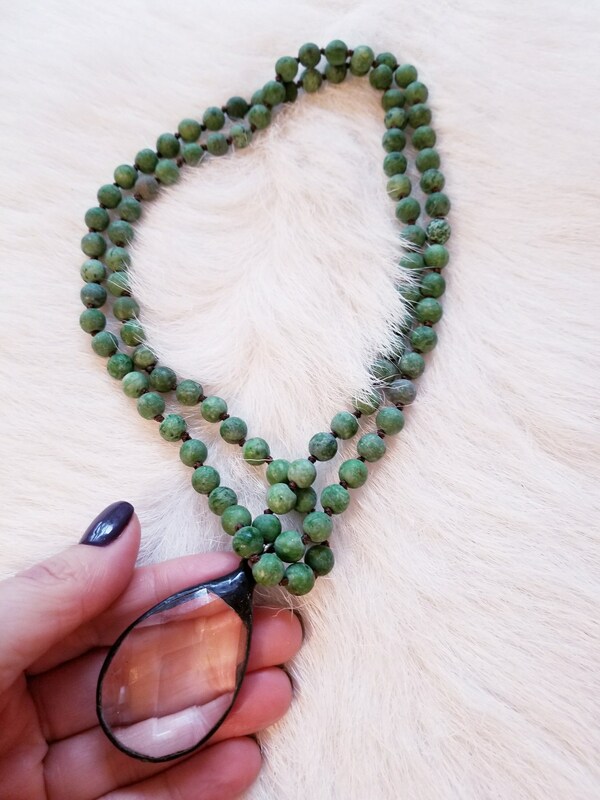 Each necklace is hand knotted using genuine stone beads. The pendants are tear drop chandelier crystals that have been soldered and come in clear and gray/blue. 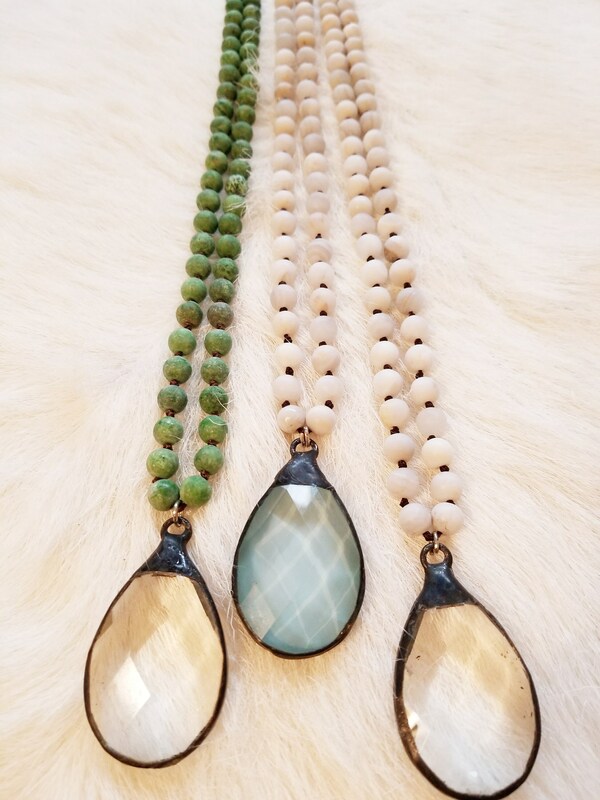 These necklaces can all be worn long or shorter as shown in the last picture, by putting around your neck like a scarf and putting the crystal pendant through the looped end.